Installed this week! MDF shutters for a client in West Bergholt. 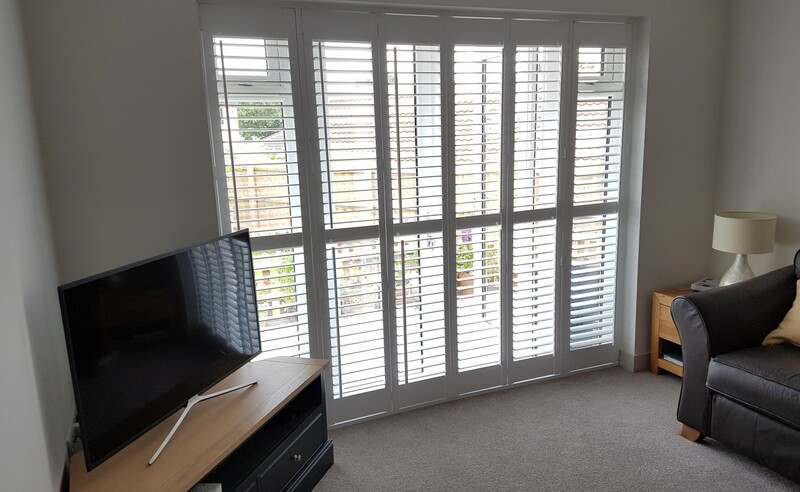 Split tilt, with offset controls plantation shutters in front of outward opening patio doors.